There comes a point in every crisis when a company must decide whether remediation will cost more early or later. Early is almost always better, but the crisis has to end before anything can be remediated. 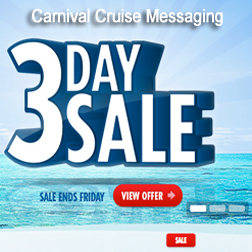 Carnival Cruise Lines learned this lesson the hard way. Rather than end the crisis aboard the disabled cruise liner Triumph early, someone made the decision that it would be safer (and cheaper) to tow Triumph to port. And, following what some might call standard crisis communication protocols, Carnival immediately took responsibility and offered full refunds to the inconvenienced passengers. There was one problem. The crisis wasn't over. For approximately 3,100 passengers and 1,000 crew members, the crisis wouldn't end for almost a week. And for every day they remained trapped on board, the unsanitary and unsafe conditions were increasingly compounded along with the crisis. As various services failed onboard the crippled cruise liner, passengers took to sleeping outside or in the hallways to avoid hot, stinky rooms; were forced to wait as long as three hours to use a handful of bathrooms (or use bags, which led to more unsanitary conditions); and resorted to survival-like tactics as food became scarce, power outlets scarcer, and showers mostly impossible. But unfortunately for Carnival, crisis case studies aren't defined by lighthearted souls. They are ultimately defined by the ones who suffered the worst, especially because the Carnival crisis made the 2007 JetBlue ordeal look like a day at Disneyland. That one didn't end until Neeleman was pushed out. Carnival might have greater consequences. It faces a class action suit that will draw out its negative publicity well beyond the crisis. Expect that the ugly is only getting started. Not only did the company made the wrong call in allowing the drama to unfold over nearly a week, it's their third cruise line disaster since October 2012. Crisis communication is 10 percent action and 90 precent reaction. There is some truth to the notion that public relations professionals have little business in risk management, remediation, and crisis response. Not all public relations pros are trained in crisis management as well as crisis communication (and too many rely on tired tenets). However, this is once case where the crisis communication team could have stated the obvious. End the crisis first. Because Carnival did not end the crisis quickly, bad luck stretched what ought to have been a half-day rescue into almost a week. And as the crisis progressed, Carnival was forced to make additional concessions as part of its remediation package. Partial refunds became full refunds. Full refunds became future discounts. Future discounts became cash offers. And ultimately, although almost unbelievable, Carnival told passengers they could keep their soiled bathrobes. With each new event and concession during the crisis, Carnival opened up the opinion that remediation might not be enough. Every time something went wrong, Carnival opened up a round of possible negligence as passengers were put at risk of physical injury for days — particularly the way it handled human sewage issues. It had all the makings of a public health disaster. It gets worse for Carnival. While the company has already issued a statement about compensation, it really hasn't made a display of empathy. The early remediation feels more like hush money, especially because Carnival's public relations spokespeople were forced to refute onboard passenger claims, continually reinforcing that the conditions were not as bad as some passengers said. To be clear, the more Carnival attempts to defend its position (even in court), the harder it will be for the company to shake off a long-term stigma. Specifically, doing so will only reinforce that the crisis was not a harrowing experience for the company and its customers, but an "us" vs. "them" scenario with ample photographic evidence and potential investigative evidence that the company not only was responsible for the initial disaster, but also for every reactive measure afterwards — even decisions that were made after the passengers arrived in Mobile, Alabama. Currently, the company has decided to remain mostly silent pending litigation. The last statement made was Feb. 15. The only other communication is marketing. You can save up to 20 percent on a cruise. The advertisement is probably most conspicuous at the top of the Google news search feed. Multitasking With TV: Where's Your Message?